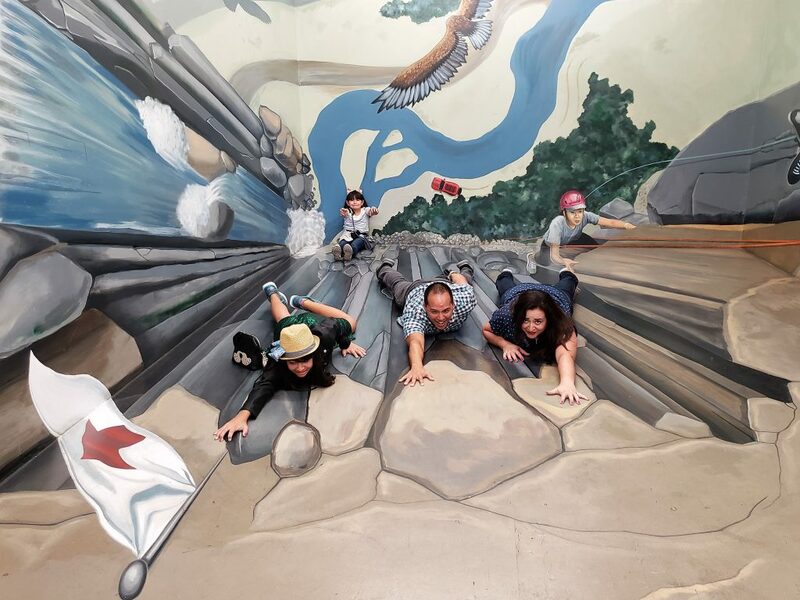 The Hollywood Museum of Illusions is a family-friendly location chock full of photo opportunities. My family loved it but we definitely would like to share a few of our thoughts to make a visit more enjoyable for you. 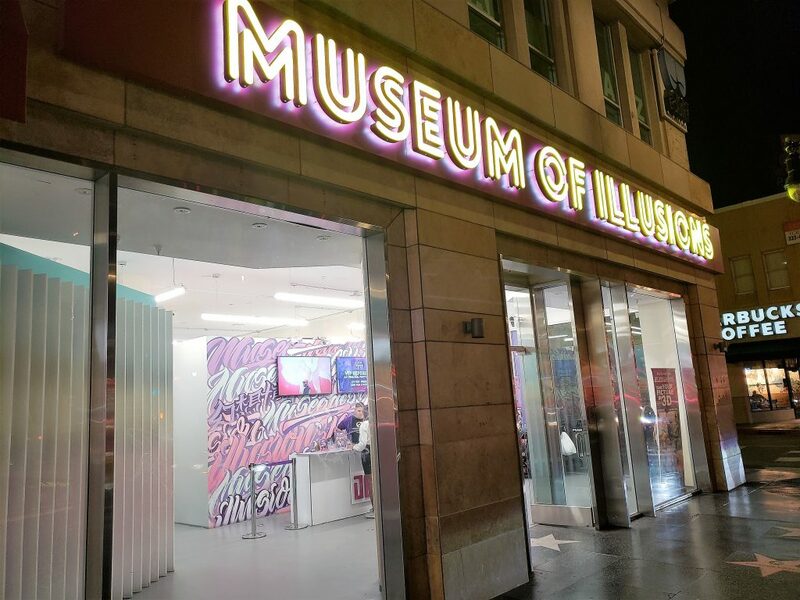 What is the Hollywood Museum of Illusions? 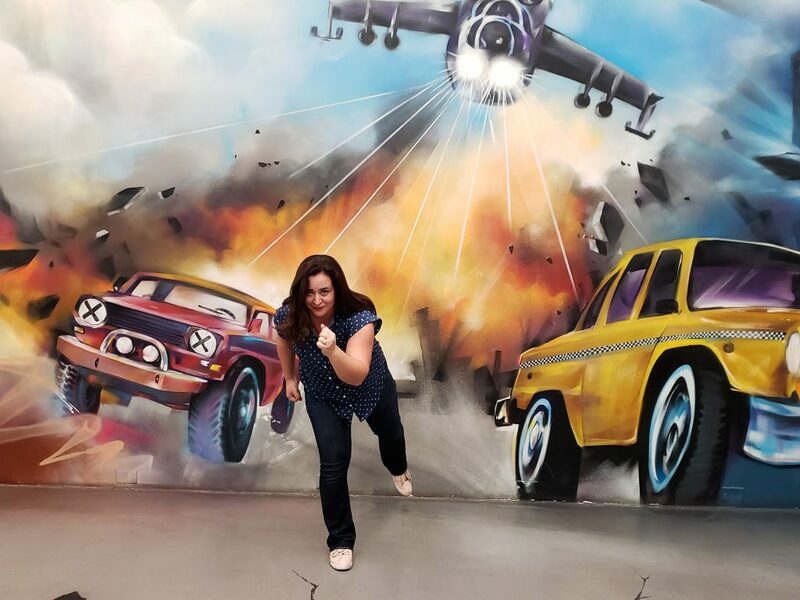 The Hollywood Museum of Illusions is not really a museum at all 😉 It is a building full of paintings that make fun backdrops in pictures. You take your own camera (phone or otherwise) and walk around. Take entertaining pictures at each photo opportunity. You will find a big variety of pictures. Anywhere from a scene of the Titanic, to a picture where you can pretend you are knocking out President Trump in a boxing match. 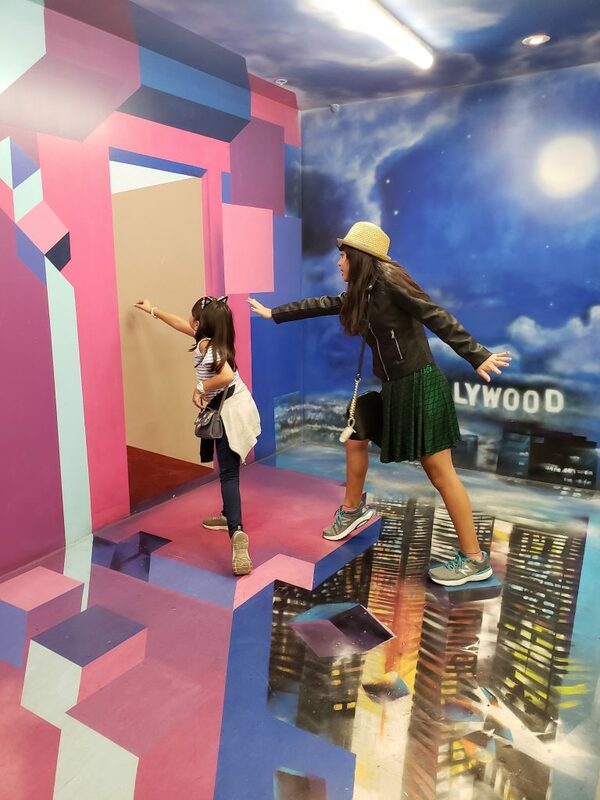 Read on for our 10 tips to make the most of your experience at the Hollywood Museum of Illusions. 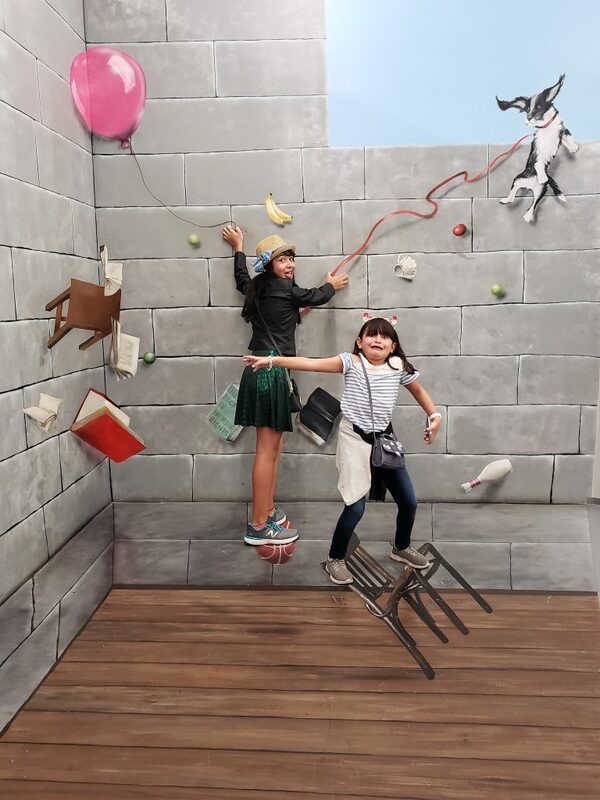 I have been wanting to visit the Museum of Illusions ever since I saw an ad for it on a discount ticket website. The picture opportunities looked like fun, but I wasn’t 100% sure that it was worth the drive and cost. 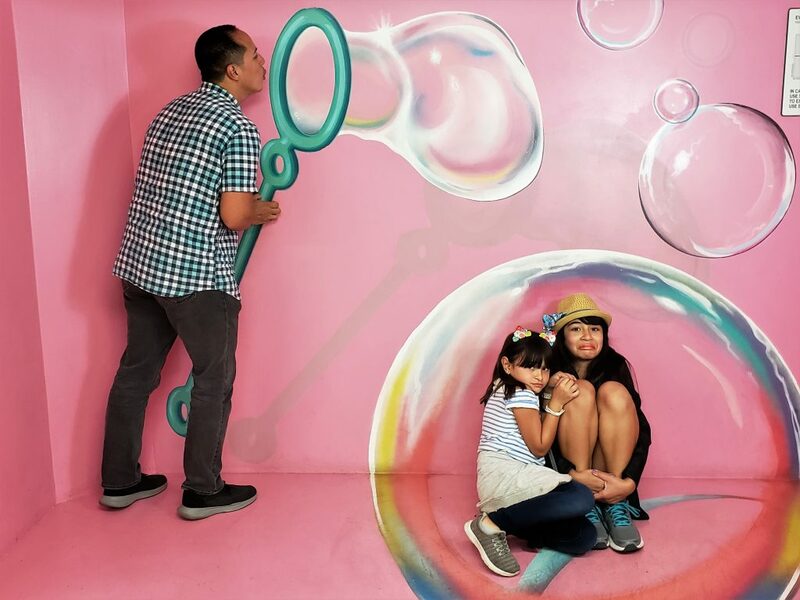 Unfortunately, I felt that the cost was a bit cost-prohibitive for a family of four just looking to have some fun taking pictures. Tickets are $25 for adults and can be purchased at the door. Tickets are $10 for children 6-12 years old, military, students, and seniors. Admission is free for children 5 years old and younger. When I came across a deal for comp tickets on the Goldstar website I jumped at the chance! I was limited to a weekday and only two comp tickets, along with a service fee. 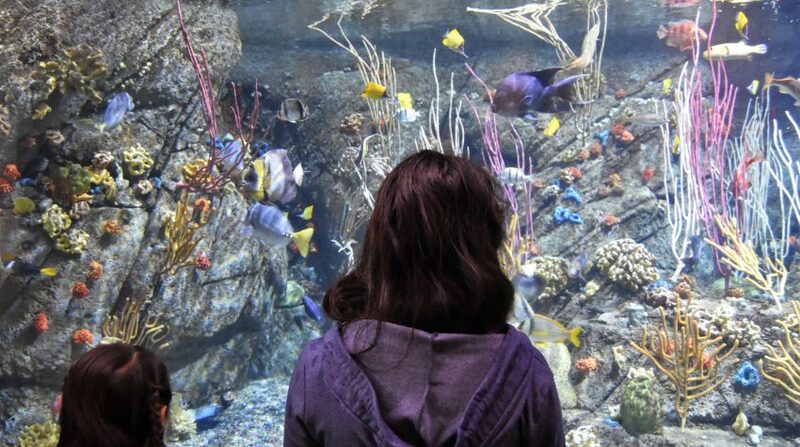 However, we used the comp tickets for the adults, and purchased the children’s tickets. This made the cost much more reasonable for this activity. Our comp tickets were for a Friday night, so we felt like we definitely lucked out. We could go any time from opening to closing time. If you are concerned about cost, I recommend that you keep your eyes open for comp tickets on Goldstar’s website. They put out comp tickets for different venues throughout the year. 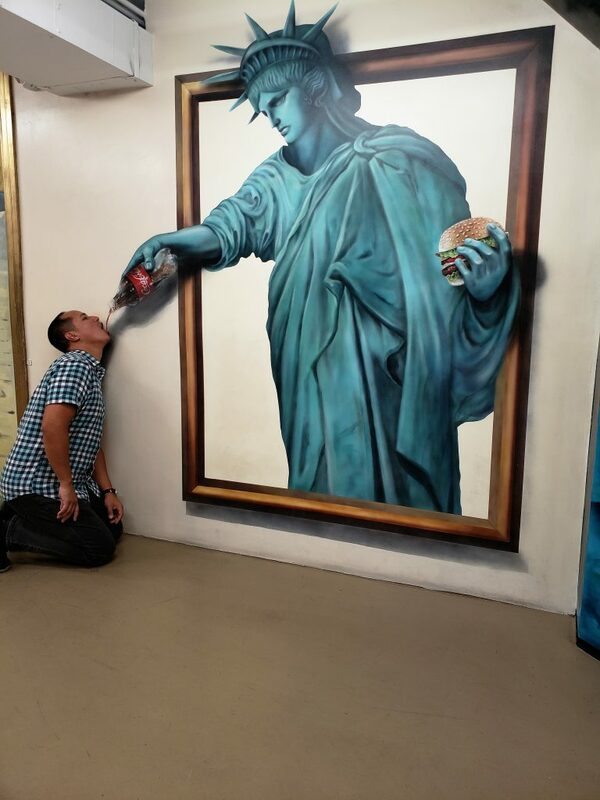 You can find tickets on Goldstar to Hollywood Museum of Illusions by clicking HERE. Disclosure: I am a Goldstar Affiliate. I receive a commission from purchases made through this link. We aimed to arrive in Hollywood at 8 p.m. in order to avoid rush hour traffic. After we made it to Hollywood, we wished that we had arrived when there was still light out. Parking is pricey and we could have made the cost a better value by having more time to walk around with the kids and take in all of the sites. 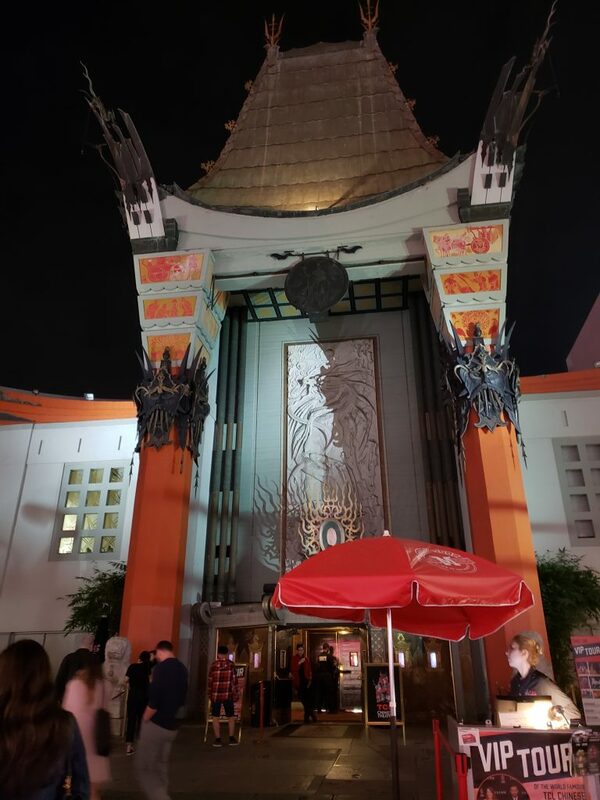 We also had a hard time getting nice pictures of the hand and foot prints at Grauman’s Chinese Theatre because it was so dark outside. Just pay for a lot. It might seem pricey, but it is worth it in Hollywood. It is crazy how easy it is to get your car towed on the street. Just ask us- we paid for a ticket and towing fee on my birthday when we went to Hollywood for a show. We thought we had lucked out finding some street parking. Unfortunately, all of the cars on that street were towed when we came out of the show close to midnight. We later realized a tree branch was covering the parking sign. The price for parking in a lot would have been MUCH less expensive. Also, take cash. Some parking lots take cash only. We wound up having to find an ATM just to park. Oops! There are place markers on the floor next to each picture. These markers will tell you the best place to stand with your camera when taking the pictures. Follow these markers to get the best pictures! I shouldn’t have to write this but…you know…people. There will be plenty of people wanting to take pictures and there is plenty of opportunity for everybody. Try not to walk into somebody else’s shot or let your toddler roam around. 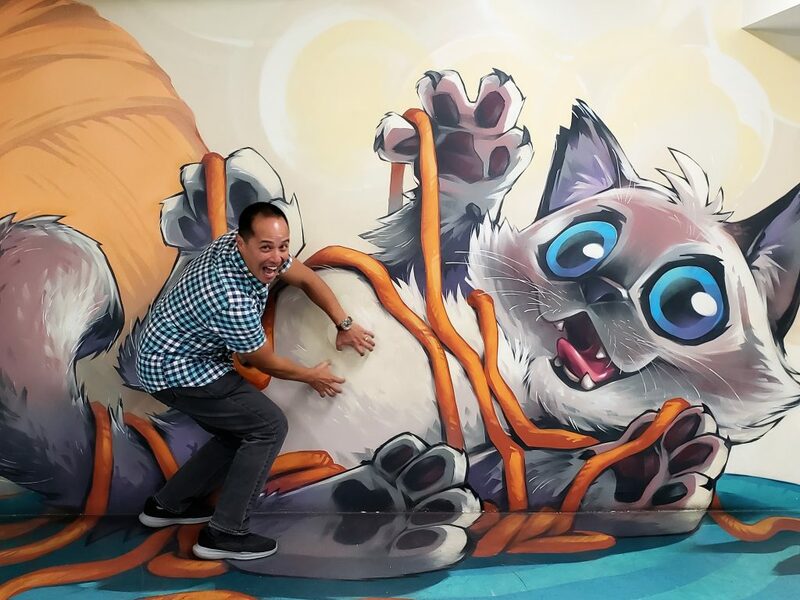 We almost missed out on the murals that were upstairs! This is one of the fun pictures that await you up the stairs. Don’t be shy to ask! We were…thankfully an employee was walking by and offered to take a picture for us. Not only did we all get in a picture together, the employee did a way better job at getting the right angle. I’m really kicking myself over this one. I was worried I would be told, “Ma’am, we don’t allow those big cameras in here.” I saw another lady happily walking around with hers and wish I had too. The Hollywood Museum of Illusions welcomes you having fun and taking your pictures. I would have gotten even better pictures. Sigh. This is a place that is just so much more fun when shared with other people. This picture is a case in point. Of course, you can go alone. Just be extra friendly to others so they can take a picture for you. My kids absolutely LOVE taking pictures and being goofballs. 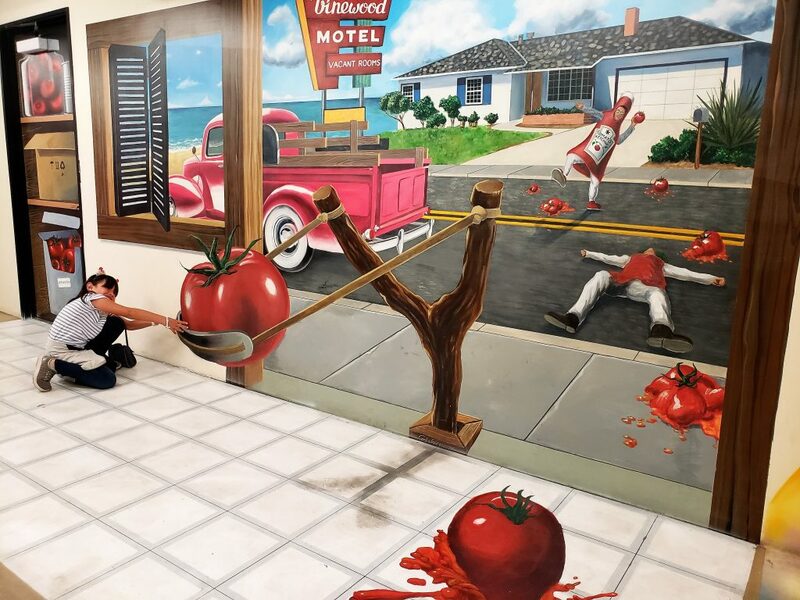 The Hollywood Museum of Illusions allowed them to do both! If you are looking for a holiday gift that is an experience rather than a toy, this one is a winner! My kids learned about Ghirardelli during our Epic Road Trip to San Francisco. Once they saw the glowing sign from across the street, there was no going back! We decided to have a nice dessert to end our fun night out in Hollywood. 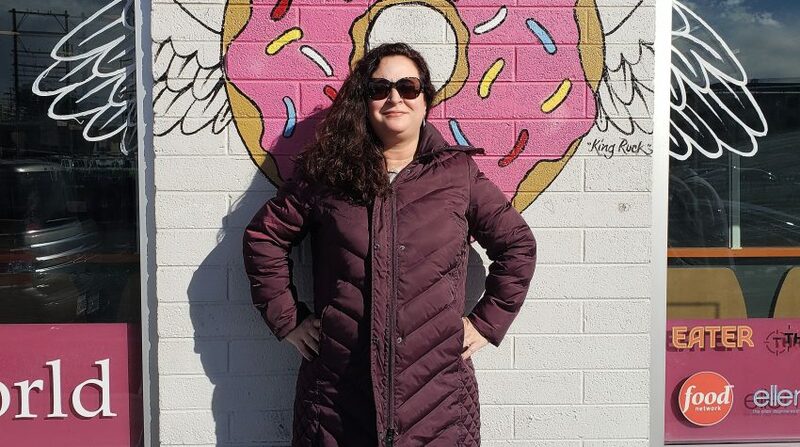 Read all about our Epic Los Angeles to San Francisco Road Trip Itinerary here. Head over to Grauman’s Chinese Theatre to see the hand prints and footprints of the stars. It is free to walk around outside and take a look. We just about lost it when we found this cement block. We just went to watch La La Land at the Hermosa Beach Pier and we were all a bit star struck. Hang out until it gets dark so that you can see all of the beautiful lights and get some fun pictures. As you can see, my kids are naturals at posing. Hours: 10 a.m.- 12 a.m. Last entry at 11 p.m.
Rules: No food, drinks, dogs, rollerblades, or skateboards allowed. 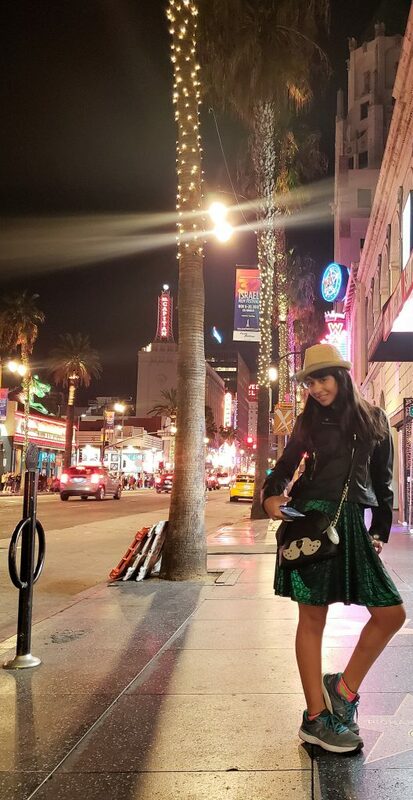 We hope you find our tips helpful and enjoy your visit to Hollywood! « The Great Pumpkin Hunt at SCBG: Is It Worth It? This looks like a great attraction. Thanks for the info. Thank you! It far exceeded my expectations. All four of us had a great time!